Pueraria phaseoloides (Roxb.) Benth. var. phaseoloides, Dolichos phaseoloides Roxb., Pueraria phaseoloides (Roxb.) Benth. var. javanica (Benth.) Baker, Neustanthus javanicus Benth., Pueraria javanica (Benth.) Benth, Neustanthus sericans Miq., Pachyrhizus mollis Hassk. The main differences between the 2 varieties are in the calyx shape and the general habit. Plants of the javanica variety are reported to be more robust (Cook et al., 2005). Tropical kudzu (Pueraria phaseoloides (Roxb.) Benth.) is a vigorous, dense-growing vine cultivated in tropical countries as a cover crop, green manure and fodder for livestock. Tropical kudzu is a vigorous twining and climbing perennial legume. It is deeply rooted (down to a depth of 2 m) and its hairy, slender stems may be 6-10 m long (sometimes up to 15 m) x 0.6 cm in diameter. The stems may root from the nodes and then develop several branches (FAO, 2015; Cook et al., 2005; Halim, 1997). Tropical kudzu forms swards of tangled branches that may reach a height of 60-75 cm. The young shoots are densely covered with brown hairs. The leaves are alternate, trifoliolate and borne on 3-11 cm long, hairy petioles. The leaflets are thin, dark green on their upper surface, pale green on the lower one and pubescent. The apical leaflet is triangular to ovate, cuneate at its base, shallowly lobed and 2-20 cm long x 2-16 cm broad. The lateral leaflets are oblique, rounded and obtuse at their base, 6-7 cm long x 6-7 cm broad. The inflorescence is an axillary raceme, 15-30 cm in length, bearing small, scattered, mauve to deep-purple flowers. Once pollinated, the flowers turn into pods (fruits), which are linear, cylindrical, straight or slightly curved. The pods are 4-11 cm in length and 3-5 mm in diameter. They contain 10 to 25 black, oblong, 3 mm long seeds. The pods are thinly hairy. Green when young, they turn black when maturing. They split open easily after sun-drying (FAO, 2015; Cook et al., 2005; Acevedo-Rodriguez, 2005; Halim, 1997). Tropical kudzu is mainly used as a cover crop, green manure and as pasture forage for livestock. It is one of the most used cover crops in plantations of rubber, oil palm and coconut in the humid Asian Tropics. It is often used in sisal (Agave sisalana) plantations in Africa (Halim, 1997). In South America, it is planted as a cover crop in citrus, mango, and macadamia plantations (Fernandez Mayer, 2013). Its ability to smother weeds is a valuable trait. Its pioneering habit is useful for establishment on slopes (Halim, 1997). Tropical kudzu cultivated in coconut basins provides valuable green manure which enriches microbiological activity of the coconut rhizosphere (Thomas et al., 1984). Its fibrous roots are reported to be edible and are also used to make ropes (Halim, 1997). Tropical kudzu is a valuable forage for livestock. It is highly palatable and can be grazed or cut for conservation as hay or silage (Cook et al., 2005). Tropical kudzu is thought to be native to East and South-East Asia. It has been widely introduced for cultivation in most tropics, and is now naturalized and widespread throughout the humid tropics. Tropical kudzu is found naturally on river banks, roadsides, fallow fields and in secondary forest (Halim, 1997). It grows from 0° to 17° in both hemispheres and from sea level to an altitude of up to 1000-1500 m (Cook et al., 2005). It can grow where annual rainfall ranges from 850 mm to 2000 mm, but it does best at above 1500 mm, and where day/night temperatures are 32°C/24°C. Biomass production decreases by 35% when the day/night temperatures fall to 26°C/15°C (Halim, 1997). 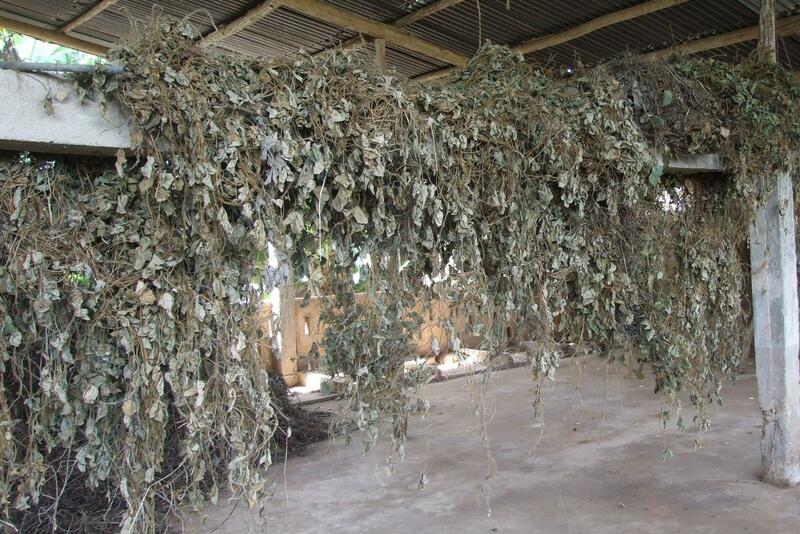 Tropical kudzu is tolerant of dry conditions and seed production is promoted by a short dry season. 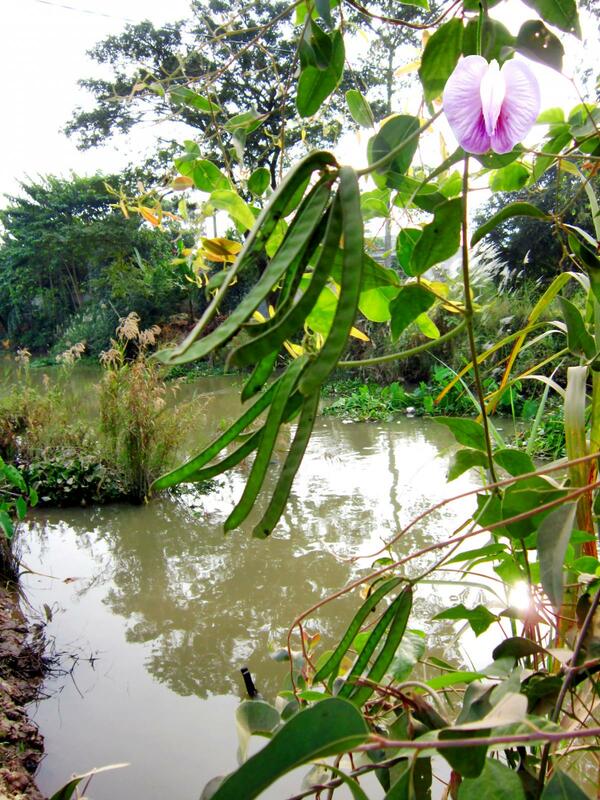 Tropical kudzu can withstand short periods of waterlogging and flooding. It is considered to be one of the most resistant nodulating legumes for the humid tropics (Halim, 1997). Tropical kudzu is very shade-tolerant and is preferred in many tropical tree plantations (FAO, 2015; Cook et al., 2005; Fernandez Mayer, 2013; Halim, 1997). Tropical kudzu can grow on a wide range of soils, from sandy loams to clays, but does not do well on compacted heavy clays (Cook et al., 2005). It is tolerant of acidic conditions (pH ranging from 3.5 to 5.5-6 is acceptable) and does not suffer from aluminium toxicity. It does not do well in saline soils (Halim, 1997). At a pH of over 6, tropical kudzu may show some Fe deficiency. It does better in soils with a medium-high fertility status and responds positively to K, P, Mg and S fertiliser applications (Cook et al., 2005; Halim, 1997). Tropical kudzu is mainly propagated by seeds. The seeds should be scarified before being broadcast or drilled onto a well-prepared, weed-free seedbed. For pasture, a seeding rate of 0.5-1 kg seed/ha is recommended. 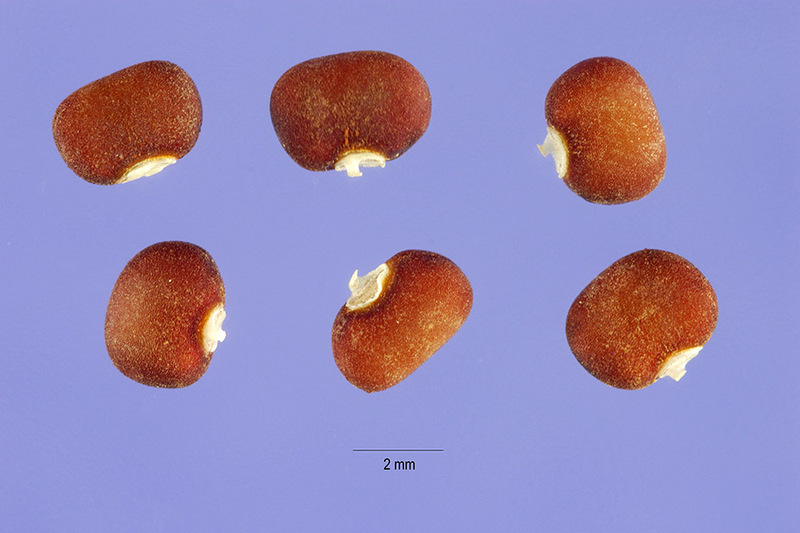 Where tropical kudzu is being introduced the seeds should be inoculated with an appropriate strain of Bradyrhizobium (Halim, 1997). When seeds are not available, vegetative propagation can be done by planting rooted stolons at a spacing of 1-2 m. Tropical kudzu should be planted at the beginning of the rainy season. Under irrigation, a valuable stand can be obtained in less than 6 months (Telford et al., 1947). The first months of establishment are somewhat difficult and require weeding. After that, the tropical kudzu becomes more aggressive and effectively smothers weeds (Halim, 1997). Tropical kudzu grows throughout the year (Telford et al., 1947). Tropical kudzu may be grazed, cut for cut-and-carry or conserved as hay or silage. Dry matter yields are very variable, ranging from a 3-6 t/ha to over 20 t/ha, depending on the cultivation method (alone or in association with other grasses, under trees in a plantation or a sole crop) (Ezenwa et al., 1996; Magat et al., 1976). In Nigeria, yields of tropical kudzu grown with guinea grass under palm trees were under 5.9 tons DM/ha (Ezenwa et al., 1996). As tropical kudzu is sensitive to defoliation and very palatable to livestock (Skerman, 1982), it should not be heavily grazed, particularly when grown on poorly drained soils. Continuous or rotational lenient grazing is recommended. Tropical kudzu was reported to be poorly persistent after two years grazing when it was sown in poorly drained, compacted soils (Halim, 1997). A stocking rate of 2-6 local cattle on a mixed sward of tropical kudzu and other grasses significantly reduced the tropical kudzu ratio in only one year (Halim, 1997). Though not very resistant to high stocking rates when grazed, it was successfully used in Acre, Brazil, where it helped establishing new pastures for cattle (Valentim et al., 2005). It was recommended not to cut below 25 cm high to encourage rooting and drought resistance in a tropical kudzu/molasses grass mixture (Halim, 1997). Tropical kudzu can be dried for hay. In Colombia, it yielded 4 tons of hay (Skerman, 1982). It was shown that the optimal cutting interval for hay quality was 60 days (Hiep et al., 2008a). It was also possible to make silage from a mixture of tropical kudzu and elephant grass or from a mixture of tropical kudzu and Pennisetum purpurascens (Skerman, 1982). Because of its vigorous fast-growing habit, tropical kudzu was listed as one of the most aggressive weeds invading moist habitats in tropical and subtropical regions in the USA and in Australia (Randall, 2012; USDA, 2012). It is declared a noxious weed in the USA and an invasive plant in Costa Rica, Ecuador, Puerto Rico and the Pacific Islands (Hawaii, French Polynesia, Niue and New Caledonia) (CABI, 2013). Tropical kudzu is a pioneering species that smothers neighbour plants under a solid blanket of leaves. It can break branches and uproot entire trees and shrubs (CABI, 2013). Tropical kudzu is an N-fixing legume. It could fix 100 to 300 kg N/ha (Jørgensen, 2013; Neyra, 1992). In tree plantations, tropical kudzu has two main roles: it returns N to the soil and provides leaf-litter (organic matter) to the neighbouring trees (Tajuddin et al., 1990; Soong et al, 1976 cited by CABI, 2013). Tropical kudzu, like most legume forages, is rich in protein (about 20%, ranging from 13 to 25% of DM). However, its fibre content is also very high (crude fibre 26-40% of DM), which tends to be detrimental for animal feeding. Tropical kudzu is a valuable source of forage for cattle and sheep. It is palatable and provides good amounts of DM and crude protein in tropical grasslands. Tropical kudzu was able to feed 2 cows/ha during the dry season and 4 cows/ha during the rainy season in Puerto Rico (Telford et al., 1947). In Brazil, a mixture of signal grass and tropical kudzu (10% of forage) supplemented with sorghum grain sustained 8.1 kg milk/day vs. 5.4 kg when signal grass and tropical kudzu were offered alone (Monteiro et al., 2012). Tropical kudzu has been predominantly used for growing animals. It seems to be poorly accepted by cattle under shade and is very sensitive to overgrazing (Reynolds, 1995). The standard mixture of legumes currently used as cover crops for rubber and oil palm plantations in South-East Asia includes tropical kudzu (Pueraria phaseoloides), Centrosema pubescens, Calopogonium mucunoides and Calopogonium caeruleum. Of these, only C. pubescens is palatable, and tropical kudzu is only partially consumed (Sánchez, 1995). When offered with various species at pasture under tree cover, tropical kudzu was less preferred (fifth out of six) than other grasses (Asiedu et al., 1978). However, with most of the grasses grazed, the same weight gain (about 58 g/d) and DM digestibility were observed, although DMI was lower with tropical kudzu (Asiedu et al., 1978). The scientific literature on the use of tropical kudzu for pigs is scarce and inconclusive. Early trials in South America did not give satisfactory results, since the crop did not withstand the grazing and rooting habits of the pigs (Chicco, 1969). 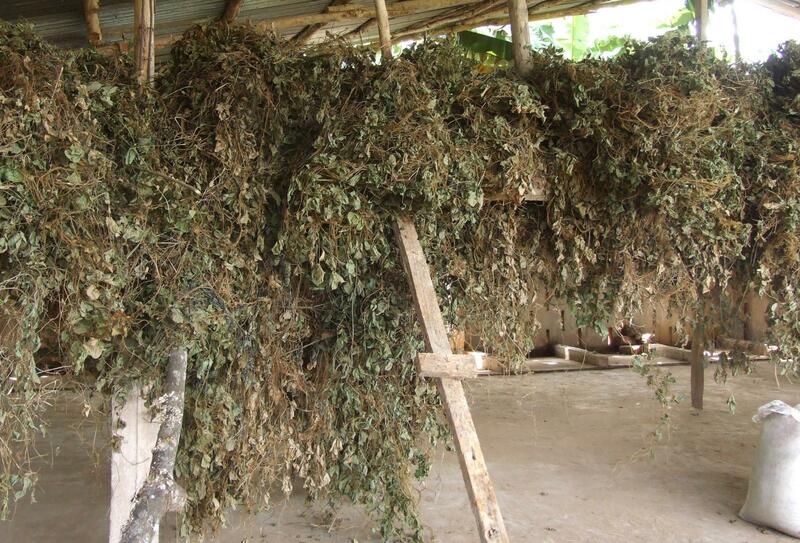 In South-Eastern Nigeria, tropical kudzu was among the species rated as "preferred" by smallholder pig farmers (Obua et al., 2012). Tropical kudzu has been tested for the feeding of gestating sows in Colombia (Sabogal Ospina et al., 1988). Tropical kudzu hay has been fed to pigs with good results (Göhl, 1982). 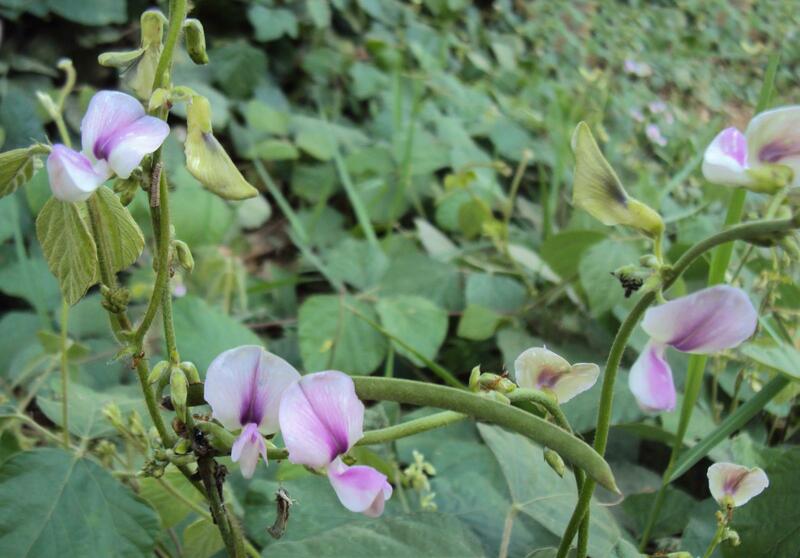 However, in the DR Congo, a comparison of 4 legume hays (Vigna unguiculata, Psophocarpus scandens, Pueraria phaseoloides and Stylosanthes guianensis) fed to growing pigs concluded that tropical kudzu hay should be avoided for pigs as it combined the lowest voluntary feed intake with the lowest nutrient digestibility (Kambashi et al., 2014). Tropical kudzu leaves are rich in fibre and hence not particularly adapted to poultry feeding. When tropical kudzu leaf meal was added to broiler diets, growth decreased significantly and feed conversion efficiency was reduced (Nworgu et al., 2013). These effects were higher in young animals and with increasing levels of kudzu. In the same experiment, other leaf meals such as centro had less negative effects. Similarly, in slow growing chickens, feed intake and growth performance were depressed when 5 to 10% tropical kudzu leaf meal was included in the diet (Zambrano et al., 2015). When fed as green forage as a supplement in a complete diet, tropical kudzu had a slight negative effect on growth and feed efficiency (Etela et al., 2007). In a comparative study of the palatability of 23 forages, tested with growing rabbits and breeding does, tropical kudzu was in the middle range for palatability, similar to Paspalum vaginatum, Elaeis guineensis and Pennisetum purpureum, but much less palatable than Tridax procumbens or Ipomoea batatas vines (Adehan et al., 1994). This medium palatability has been confirmed in a study on the potential use of kudzu leaves by growing rabbits (Hiep et al., 2008b). However, tropical kudzu is widely used by smallholder rabbit keepers, in Haiti (Kentor, 1990) and in Benin (Lebas, 2007). It is usually included in the list of green forages commonly used or usable for rabbit feeding in tropical Africa (Owen, 1981; Onifade et al., 1999; Mailafia et al., 2010), or South-East Asia (Wahab, 2001). From the results of a digestibility trial conducted with Pueraria phaseoloides used as the only feed, a digestible energy content of 7.2 MJ/kg DM was proposed for green tropical kudzu with a N digestibility coefficient of 63% (Raharjo et al., 1986). When sun-dried tropical kudzu was included at 0%, 20% and 40% in pelleted diets, replacing part of the basal diet, the nutritive value was only 3.8 MJ DE/kg DM, and N digestibility was 24% (Akoutey et al., 2012b). These results were probably due to over-mature material and poor harvesting and/or drying methods, indicated by the ash content of the kudzu (15-17% of DM), being double the expected range. However, in a fattening trial with kudzu hay incorporated at 0, 20 or 40% in balanced diets, growth rate and feed efficiency were better than in the control diet with 20% kudzu hay, but were significantly reduced with 40% of kudzu (Akoutey et al., 2012a). Reduced growth rate was also observed in diets with 40% of kudzu hay (31.6 g/d) compared to 40% alfalfa hay (39.7 g/d) or 40% Arachis glabrata hay (39.7 g/d) (Gomez de Varela et al., 1983). In conclusion, fresh Pueraria phaseoloides forage can be used without restriction in rabbit feeding as a source of fibre and protein. 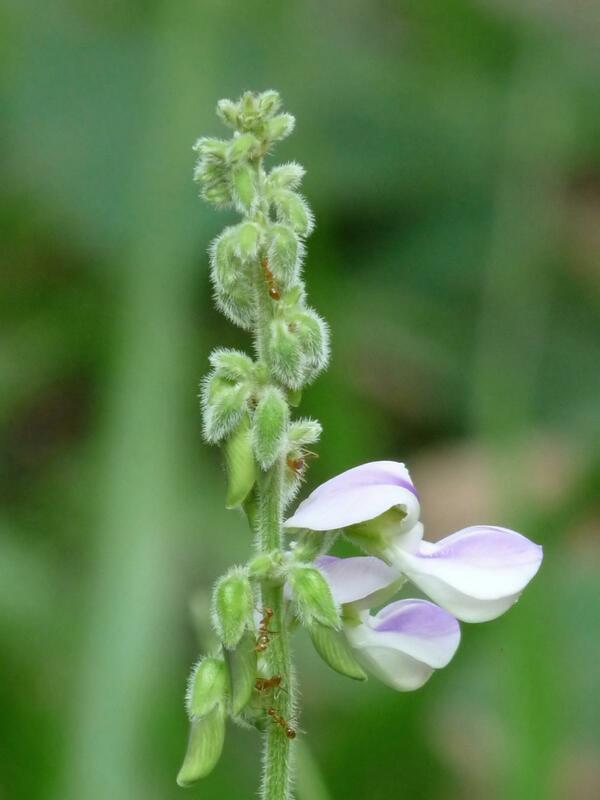 However, tropical kudzu protein covers about 65% and 75% of the requirements for sulphur-containing amino acids and lysine, respectively, and only 80% and 50% of calcium and phosphorus requirements (Lebas, 2013). More work is needed to establish the precise nutritive value of tropical kudzu hay for feeding rabbits, but it is a useful source of fibre. Halim, R. A., 1997. Pueraria phaseoloides (Roxb.) Benth. Record from Proseabase. Faridah Hanum, I ; van der Maesen, L.J.G. (Eds). PROSEA (Plant Resources of South-East Asia) Foundation, Bogor, Indonesia. Jørgensen, S. E., 2013. Handbook of Environmental Data and Ecological Parameters: Environmental Sciences and Applications Volume 6 de Environmental sciences and applications. Elsevier, 1210 pp.